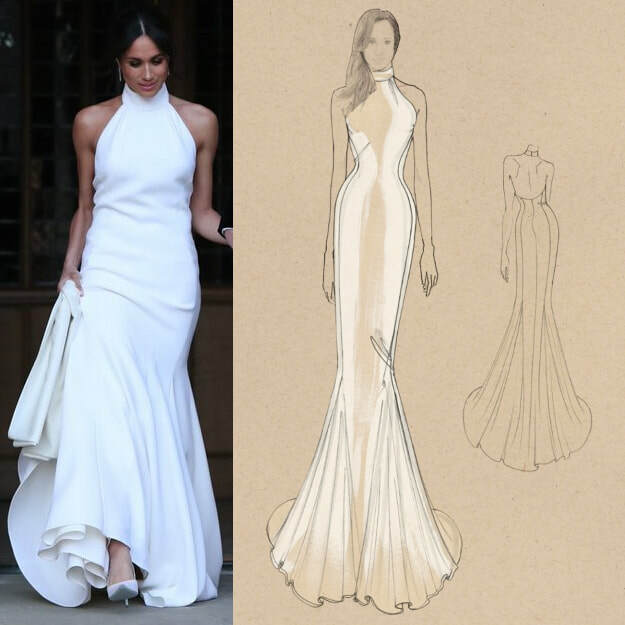 A bespoke gown by British fashion designer Stella McCartney made from lily white silk crepe and defined by a halter neck and sleeveless silhouette. 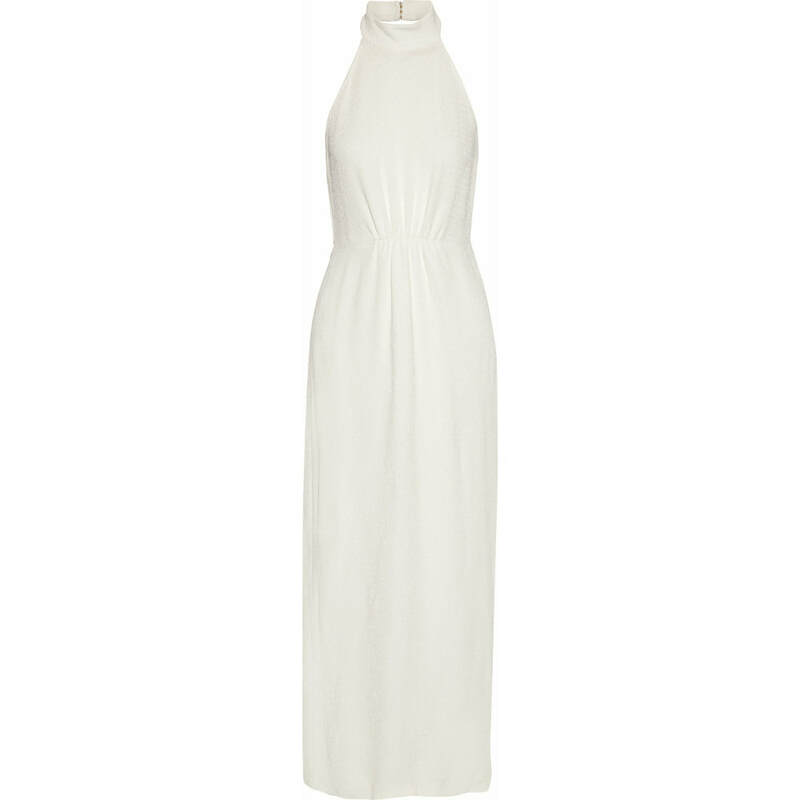 Stella McCartney has released the gown in a viscose blend (£3,500 / US$5,200). The dress is also available in BLACK, and BLUE.